Meet Zora: a dog with a big dream and an even bigger personality. All Zora wants to do is learn how to fly so she can catch that pesky squirrel in her yard. But try as she might to prove to her friend Tully--a skeptical cat--that dogs truly can fly, nothing seems to work. Until Zora finds the right motivation, that is. 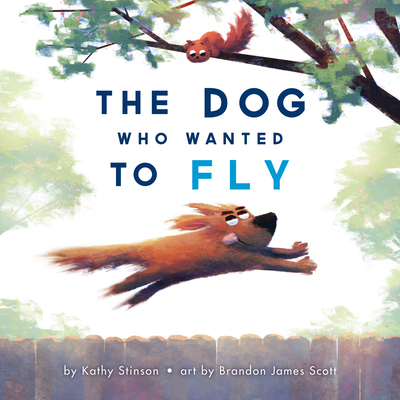 Kathy Stinson's charming story of perseverance is beautifully brought to life by Brandon James Scott's exuberant and wonderfully expressive illustration. Touching on themes of optimism and determination in the face of failure, The Dog Who Wanted to Fly is a book anyone--even a cat--will love.